Reviewing today’s most widely-used loan programs. 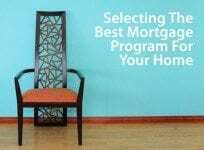 Helping you choose your best mortgage program at the lowest available mortgage rate. 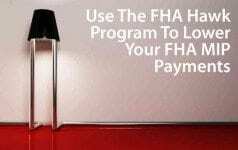 FHA mortgage loan facts, in Q&A format. Must-read for home buyers of all types. Common questions answered in plain English, plus live FHA mortgage rates. A new FICO scoring method is expected to raise credit scores by 25 points, at minimum; and 100 points at maximum. Read more and get a live rate quote now. About the FHA Homeowners Armed With Knowledge (HAWK) program. How the program works and how to apply. Get reduced FHA MIP plus today’s live rate quotes. Paid Cash For A Home At Auction? Refinance Your “Cash Out” The Next Day Via Delayed Financing Mortgage Loan. The “Delayed Financing” loan program allows cash buyers to do a cash-out refinance just one day after closing. Program rules, plus today’s mortgage rates. 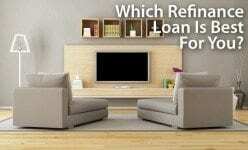 Which Refinance Is Best: FHA, VA, Conventional, or USDA? Mortgage rates are near 15-months lows, so which mortgage refinance program is best? Analysis and today’s live mortgage rate quotes. Safe and secure. 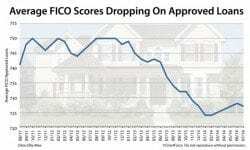 Lenders are lowering credit score requirements. Read more on today’s minimum required FICO scores, and get a live mortgage rate quote. Mortgage rates are a 14-month best and U.S. home values are rising. A review of today’s refinance programs, plus live mortgage rate quotes. A new FICO credit scoring model will raise borrower credit scores. Analysis of the changes, plus today’s live mortgage rates.